I was feeling the challenge here – not thinking about much except merging traffic, and I certainly couldn’t take a photo with my hands on the wheel. I searched my photo library and pulled some images from a visit to Turkey in 2005. 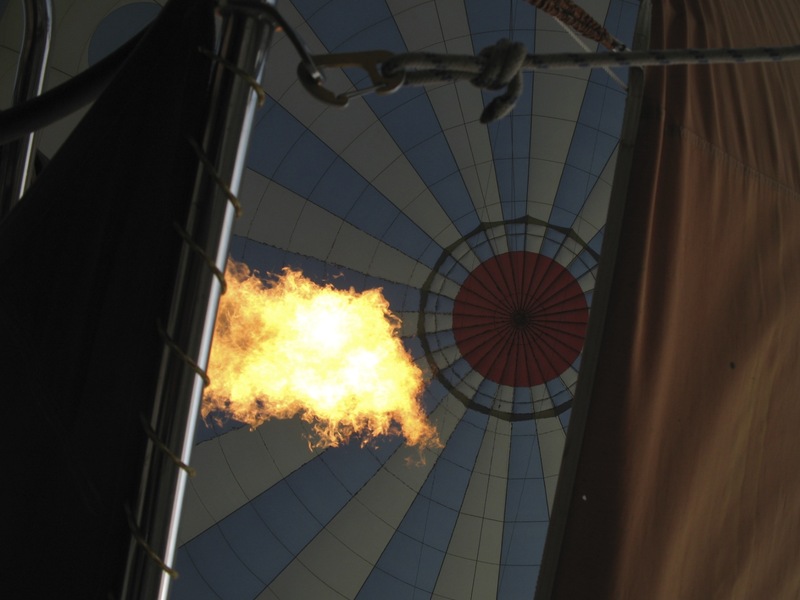 The first photo is an image of fire as it merges with air to lift a hot air balloon. 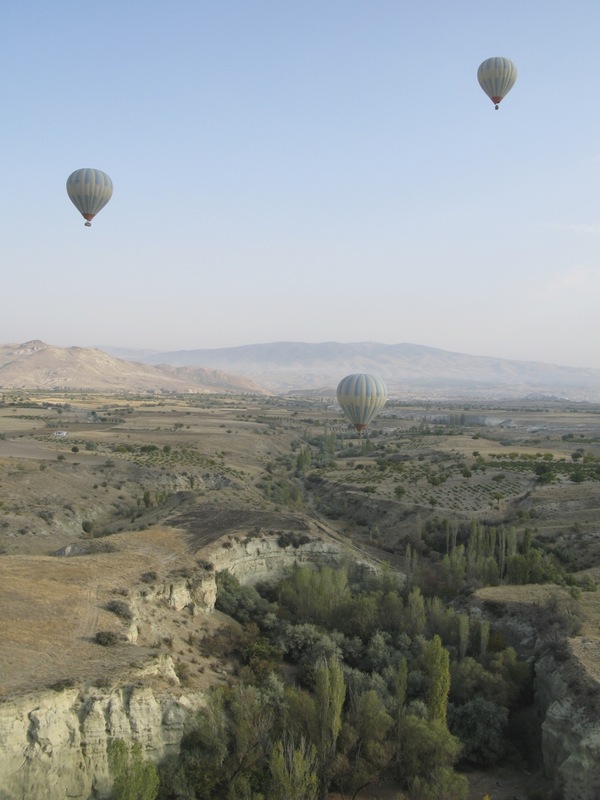 In the next photo the hot air balloons merge with the countryside – subtle colors blending together. 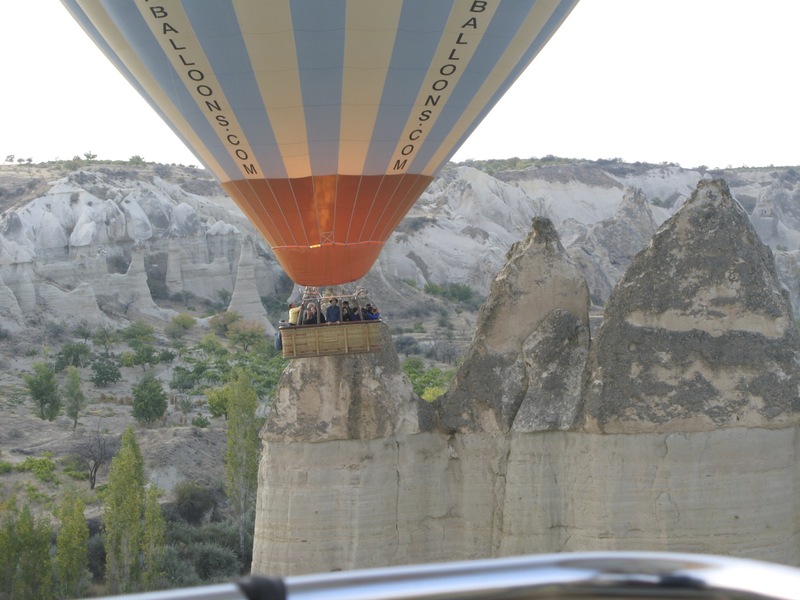 Next the balloons “e”merge from the ground and rise past the stone peaks in Cappadocia. Here it looks like a balloon is merging with a pinnacle of rock. And lastly here are members of our group merged with locals we met while hiking in the Ihlara canyon. These women were farming a small plot of land and were very welcoming to the foreign strangers who took a big interest in what they were doing. The Turkish women are the ones without purses and cameras! Prev frida you are looking good! I have a really SWEET Award waiting over here for you come collect it and enjoy! Eunice, thank you so much for this sweet award. I’ve never even heard of this one before! I may take a little while to “accept” according to the rules, but I will. Thanks again! I love these pictures! I could practically hear the balloons hissing (they hiss don’t they?). You’ve got a great eye. I don’t even walk a block in my neighborhood without carrying my camera. You never know when you might encounter something you’ll want to capture. Thanks! The balloon burners make a low roaring sound that you get like to hear, since it means everything is running smoothly. I missed a fantastic dragonfly photo the other day because I was foolish enough to water my plants without my camera in hand! I so hate missing shots! To this day I regret missing the one of the pigeon walking in the vegetable aisle at my grocer’s (I didn’t have my camera). Back to you, you have such an excellent eye. I skipped this week because I couldn’t think of anything. Not even merging traffic came to mind. But now I see I need a Thesaurus in the future to help with my creativity. Great use of the word prompt! Nice photos. Thanks. It’s not too late to take part – I don’t usually post my challenge till Monday but I’m playing with the schedule a bit. Great memories Terri. I think I fit in rather well with the gardeners – it is my camera that gives me away. 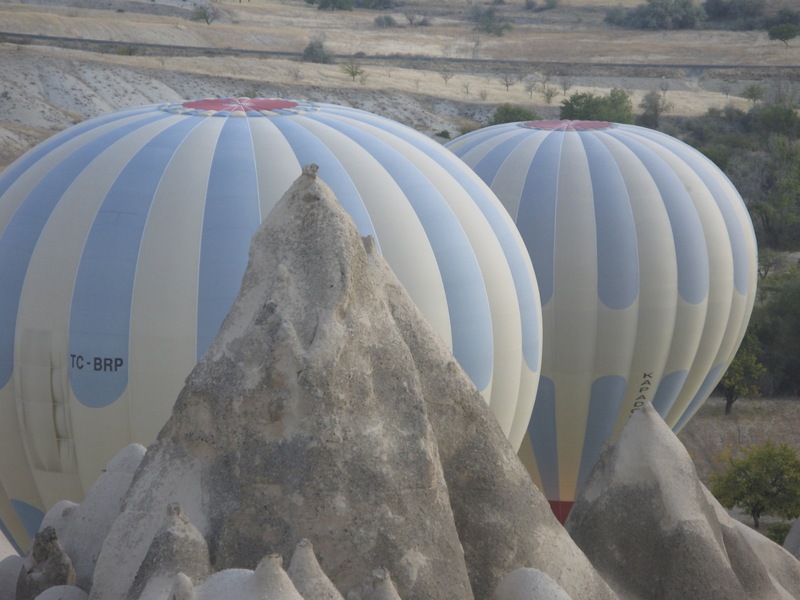 I love the balloon experiences in Cappadocia – talk about a time to merge with the environment. Next time we hide the cameras and purses! Simply Inspiring and dare I say, Uplifting, a really joyous series however I would be delightied to see even more of these! Is this a subject you photograph often? Thanks, Tom. I have thousands of photos of Turkey in my collection since I’ve visited 3 times and take more photos each trip. I tend to travel with my camera in my hand most of the time and will photograph almost anything. I love the visual record of where I go and what I’ve been doing – perhaps just preparing for losing my mind! I would love to see more, perhaps you have them elsewhere on your blog? What good is a sane photographer however dare I ask haha!